28 Jul 2017 --- The European Food Safety Authority, the European Medicines Agency and the European Centre for Disease Prevention and Control are concerned about the impact of use of antibiotics on the increase in antibiotic-resistant bacteria. A new report presents new data on antibiotic consumption and antibiotic resistance and reflects improved surveillance across Europe. Vytenis Andriukaitis, European Commissioner for Health and Food Safety says: "To contain antibiotic resistance we need to fight on three fronts at the same time: human, animal and the environment. This is exactly what we are trying to achieve in the EU and globally with our recently launched EU Action Plan on antimicrobial resistance. This new report confirms the link between antibiotic consumption and antibiotic resistance in both humans and food-producing animals." The news comes as a high profile piece was published in the British Medical Journal (BMJ) on Wednesday, where a group of practicing physicians argues that the idea that stopping antibiotics early may be dangerous to the patient and society as a whole is not grounded in strong science and that policymakers, educators and doctors should drop this message. 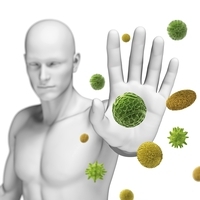 Click to EnlargeImmune health continues to dominate supplement NPD activity. 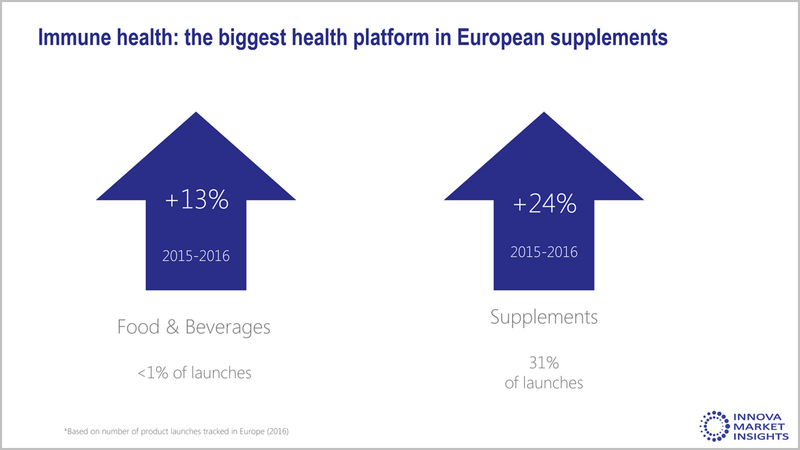 An Innova Market Insights analysis of claims being made on European supplements between 2012 and 2016, finds significant growth for a number of platforms, with a particularly strong rise in products featuring immune health claims, which now accounts over 30% of new launches. The immune health platform was the leading platform for new supplement launches, accounting for 31% of new supplements reported in 2016. The number of launches continues to grow, by +24% from 2015 to 2016. In Food & Beverages a growing number of launches for this health platform is growing, but it remains a niche in total food innovation.